Penelitian - Former nurse Niels Hoegel admitted Tuesday to killing 100 patients in his care, on the first day of his trial in the biggest serial killing case in Germany's post-war history. As the proceedings opened in the northern city of Oldenburg, presiding judge Sebastian Buehrmann asked whether the charges against him were accurate. Hoegel replied quietly "yes". "What I have admitted took place," Hoegel told the courtroom crowded with dozens of grieving relatives. "It is like a house with dark rooms, we want to bring light into the darkness," Buehrmann said. 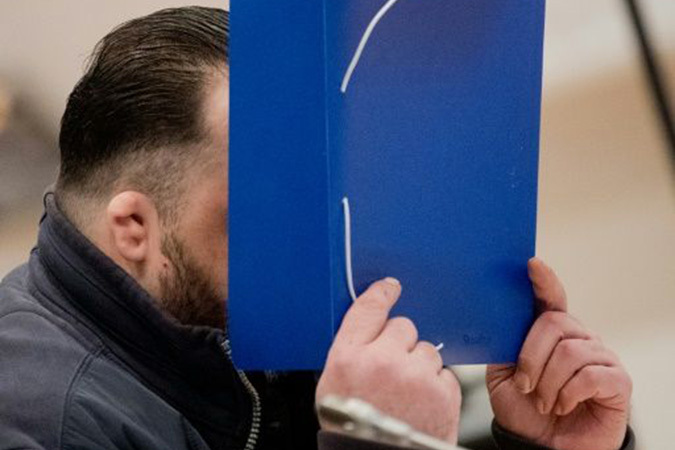 Prosecutors say at least 36 patients were killed at a hospital in Oldenburg where he worked, and about 64 more at a clinic in nearby Delmenhorst, between 2000 and 2005. More than 130 bodies of patients who died on Hoegel's watch have been exhumed, in a case investigators have called "unprecedented in Germany to our knowledge". "They had everything they needed (to stop him) -- you don't have to be Sherlock Holmes," said Marbach, the grandson of one of the patients. Hoegel told the court he was "surprised" when a superior at the Oldenburg hospital asked him to resign in late 2002, saying he would get a positive recommendation and holiday pay if he left voluntarily. "I felt bad, like I had been caught," Hoegel said, adding however that he was never explicitly told why they wanted him gone. Caught in 2005 while injecting an unprescribed medication into a patient in Delmenhorst. Marbach said the defendant seemed remarkably composed as he admitted to the extraordinary list of killings. "He looks like a little, vulnerable mass murderer," Marbach said. Hoegel was sentenced in 2008 to seven years in prison for attempted murder. A second trial followed in 2014-15 under pressure from alleged victims' families. He was found guilty of murder and attempted murder of five other victims and given the maximum sentence of 15 years. "I should have quit," Hoegel said. It was only through reading the court files and in therapy that "I started to recognise the full dimension", he said. Investigators say the final toll could top 200 but fear they might never know for sure because the bodies of many possible victims were cremated. Hoegel appears to have followed a similar procedure each time, first injecting a medication that triggered cardiac arrest, followed by an often futile attempt at resuscitation. Prosecutors say he was motivated by vanity, to show off his skills at saving human lives, and by simple "boredom". The choice of victim appears to have been entirely random, with their ages ranging from 34 to 96.